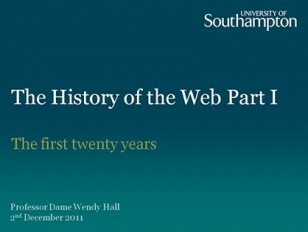 Join Professor Wendy Hall FRS as she speaks about the development of the World Wide Web over the past twenty years. She is Professor of Computer Science at the University of Southampton. Her research interests include the development of web technologies, digital libraries, and human computer interaction. In this talk she will discuss the history of the web, and give an insider’s perspective on its possible future.